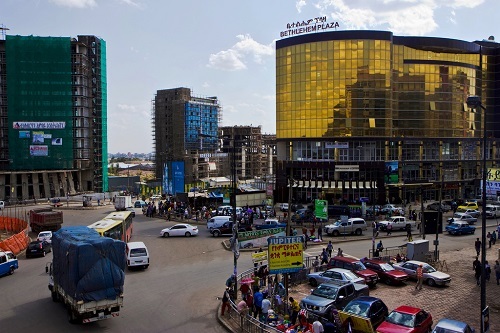 What are the pros and cons of privatizing the public enterprises of Ethiopia? Why privatize them? How to handle the task? What are the precautionary measures to be taken? With these points of contention on the lips of citizens, I approached a businessman politician and two economists. 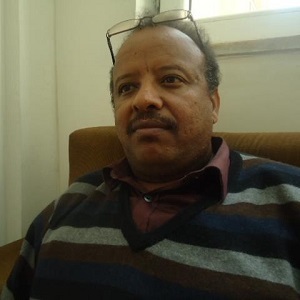 Bereket Sebseb is a businessman and politician. Asked for his take on privatization, he said for the sake of loosening the controlling grip of the government as per the free market economy, public enterprises that give services interwoven with public administration must not be privatized. “No need to mention, EthioTelecom could have key information much needed for security purposes. Also, if foreign entrepreneurs buy Ethiopian Electric Power, I am afraid they will fail to use the profit for expansion purposes. As such the dearth of power could persist,” he argued. Bereket noted one of the reasons ascribed for privatization is corruption. But corruption lurks everywhere, even in the affluent countries. It is impossible to completely stamp it out. Foreigners too do corruption in a subtle and scientific way, while Ethiopians do so via their limited tact. According to Berekt, as a panacea increasing the number of share companies, which take aboard more Ethiopian business persons that could monitor how businesses are functioning, could help to better address corruption as they diligently conduct monitoring activities with a sense of belonging. “As a shareholder, I know firsthand the presence of management staff that eat shareholders out of their due under the smokescreen of advertisement and promotion. This way, to the benefit of share companies and shareholders, on many occasions I did fight managers not to get off track!” he further noted. Pertaining to the privatization process practiced here for over two decades, he reflected on the absence of free and fair competition while some enterprises were privatized. There were also some organizations that were basking under unfair or preferential treatment from banks, buckling under pressure from an irresponsible government. Forcing such groups to return to the government’s coffer embezzled money plus profits, which accrued from interests, is obligatory. Tekle Berehan G/Michael is a macro economist. He said that instead of fully privatizing some enterprises like Ethiopian Airlines, which is relatively better functioning in Africa, at this moment in time, it is rather advisable to take the management to yet a higher level of excellence. In the future what will be will be. Also there is a need to ponder on who will buy it? Who has money? Instead of fully privatizing such enterprises, the country could look for different options. There has to be a triangle among the governmental party and the local as well as foreign investors that buy shares. Taking the lesson from Tiger countries like Singapore and Malaysia the country needs to put in place Ethiopian Investment Cooperation (EIC), Tekle Berehan stressed. Each public enterprise targeted for sale must be studied via a case-by-case approach. EIC will get involved as a shareholder, he further noted. The study to be conducted must not be across the board. Those that enjoy a green light to buy a share or purchase the enterprise must be ones that proved themselves. Their background has to be checked. Otherwise it sure will be good if public enterprises stay in government hands though they may be a bit staggering. Accountability has to be there. Selling enterprises without auction and competition doesn’t work. Bereket and Tekle Berehan share this idea. Even if some have the money, probably by unfair means as we witnessed, they could be remiss in doing auditing and other accounting activities. “Are we going to hand the enterprises to such embodiment of failure and impropriety?” Tekle Berehan argued. Bereket said that before privatizing public enterprises things have to be backed by thorough research, but not hearsay. We do not have to rely on face value. Transparent auctions well announced ahead of time have to be there. If the organization is somewhat ailing, first it has to be given a stalemate to get off the ground. If it could not recuperate, it could be sold. There has to be a political committee or think thank that advises the government on such a burning public issue. Now is not the time to invite international banks who have well developed their muscles as they could fully engulf the private banks here at embryonic stage. Bereket says when it comes to privatizing Ethiopian banks, before they develop their financial muscles well, if foreign banks, with a gargantuan capital, are invited to do business, the local ones will be engulfed if not smothered. Tekle Berehan seconded this line of reasoning. “Pertaining to westerners’ pressure, they are creating influence on us for their own advantage. Yet, we need their support. But luckily when told about facts on the ground, they easily understand things. They are smart,” Tekle Berehan added. Management of public enterprises must also be free from political interference in a bid to prove themselves or to render their enterprises profitable. Professionalism, especially in enterprises facing red hot global competition, must not be downplayed. Abdi Yuya Ahmad, PhD in Innovation Economics, is a lecturer at Adama Science and Technology University. Briefing this journalist about the merits and demerits of privatization of public enterprises, he said that privatizing public enterprises will help reduce the likelihood of inefficiencies in public enterprises. It would reduce the problem of embezzlement by public bureaucrats and open ways for continuous upgrading of organizational routines. It also improves access to new technologies and offers better opportunities for sectoral linkages. Improvement in productivity and efficiency will increase competitiveness of the companies both locally and internationally, he noted. Explaining the cons, he said there would be risks of abuse by non-value adding capitalists. “There would be temporary reduction in government revenue. Risk of developing monopoly power if already large businesses appropriate the privatized enterprises which would lead to higher price of goods and services. Loss of jobs by people who have been working in the enterprises could surface,” he noted. Enlarging on the issue, he stressed the prudential measures to be exercised should consider the above potential problems. Mainly, privatization should help tackle problems of inefficiencies and advance the current capacities of public enterprises. The government has to make sure that privatization leads to more value addition, sectoral linkages and more job creation. For this, it is crucial to execute the privatization process in a transparent and competitive basis.